In this file photo taken on Oct. 17, 2018, a marijuana plant is pictured in Vancouver, B.C. 2018 will forever be remembered as the year Canada legalized recreational cannabis. Officially, it’s been only 12 weeks since the seminal moment – midnight on Oct. 17 – when 95 years of pot prohibition ended, so reaching any sweeping conclusions about the impact of the law is difficult. But, by all appearances, the postlegalization world looks a whole lot like the prelegalization world. Reefer madness has been restricted almost solely to the stock markets, where cannabis stocks have taken a wild ride in recent months. It is telling that Canadian Press named cannabis the business story of the year, but not the news story of the year. Canadians smoked a fair bit of pot before it was legal to do so, and they continue to smoke a fair of pot. About 16 per cent of those older than age 15 consumed cannabis – that’s 4.9 million people – in the past three months, and, despite dire warnings, there is little indication those numbers will increase substantially. In 2017, according to Statistics Canada, cannabis sales were roughly $5.7-billion (including more than $800-million in legal sales of cannabis for medical purposes), and they are on track to be about the same in 2018. The only data on recreational sales to date is a report that there were $43-million in legal retail sales in the first two weeks after legalization. That may seem to be a lot at first blush, but it’s a still a fraction of the almost $100-million in weekly spending on the black market. One of the principal justifications for legalization – which, in public-health terms, is an important harm-reduction measure – was to get a much-used product out of the hands of organized crime. Yet, buying pot is as difficult (or easy, depending on your perspective) as it was before legalization because of persistent shortages in the legal supply. Provinces and territories had years to prepare, yet they doggedly dithered on what is perhaps the single most important element of a legal regime: Where cannabis would be sold. Ontario still has no retail stores and won’t until April, 2019. British Columbia, the bud capital of Canada, has been painfully slow to license stores; Vancouver, which had hundreds of illegal dispensaries, only got its first legal store on Saturday. Quebec’s state-run stores only open four days a week, because they barely have any pot to sell. If you visit online sites, it’s no better: “Out of stock” are the words you will see most often. All told, to date, retailers – public and private – are meeting less than a quarter of the demand for legal cannabis. The provinces blame suppliers for not delivering on contracts and the suppliers blame governments for excessive regulation. Again, there is no shortage of cannabis in Canada. Last year, Canadians consumed 690 tonnes of weed, almost all of it homegrown. Canada remains an exporter of cannabis on the black market. 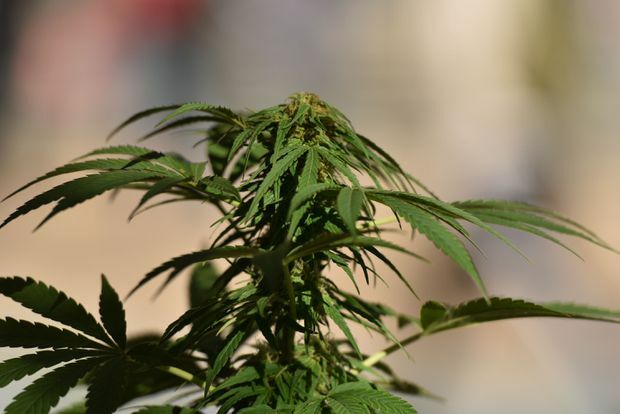 The cannabis purchased legally comes from the 134 “licensed cultivators, processors and sellers.” Health Canada has made it difficult to grow cannabis, with strict rules and standards. That’s not necessarily a bad thing, but means shortages will likely persist for months, until suppliers adjust to the regulatory regime. Aside from the retail sales fiasco, there are few pieces of unfinished business on the cannabis file. Cannabis for medical purposes has been legal in Canada since 2001, and there are more than 330,000 registered users. That regime will remain in place for at least five years, but it’s not clear whether it needs to be. How to regulate cannabis-impaired driving remains a challenge because measuring impairment is difficult. But, again, anecdotally, there doesn’t seem to be a huge upsurge in driving under the influence. Then there is the issue of wiping away criminal records of those convicted of pot possession in the past. The most harmful impact of cannabis has come from its criminalization. Hundreds of thousands of Canadians have criminal records related to possession and that can affect their ability to travel, to work and to volunteer. Leaving those convictions on the books would be preposterous. The federal government has proposed a system of expedited “record suspensions.” That’s not good enough; what is required is expunging cannabis-related convictions. Canada has been a pioneer on cannabis legalization. Other countries can, and should, learn a lot from this grand experiment. But one of the most important lessons we can leave them with is that legalization is not just about making a recreational product more readily available. It’s about harm-reduction and social justice.